platform mountaineering style and get fab views of London City and the river on a clear day (we got lucky with the weather)! Awesome fun, and the breakfast set me up a treat! I digress! This is my own home-cooked version that I have only just got round to making 2 weeks later because I’ve not had time to soak and boil my beans! This is a well-balanced brekkie plate with plenty of fresh anti-oxidant-rich veggies for fibre and vitamins, black beans for muscle-building protein and a bit of a kick to wake you up for the day. 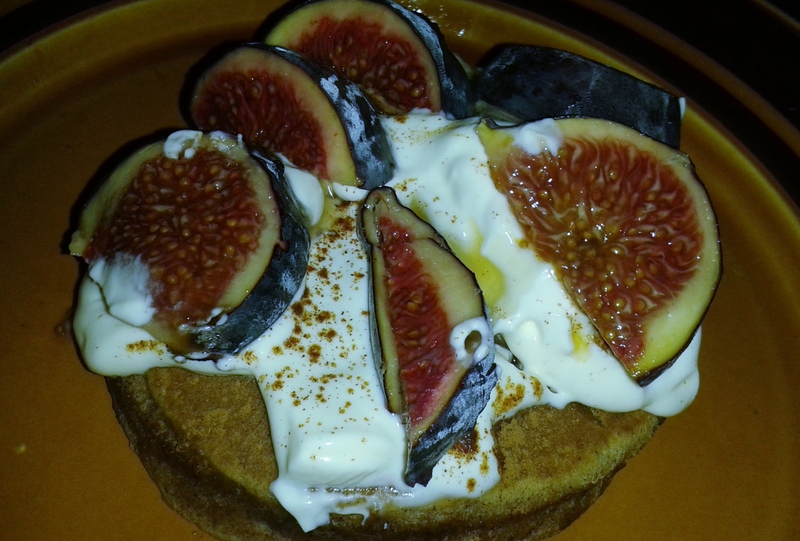 Who said hot breakfasts had to be bland, unhealthy, stodgy and full of saturated fat?! 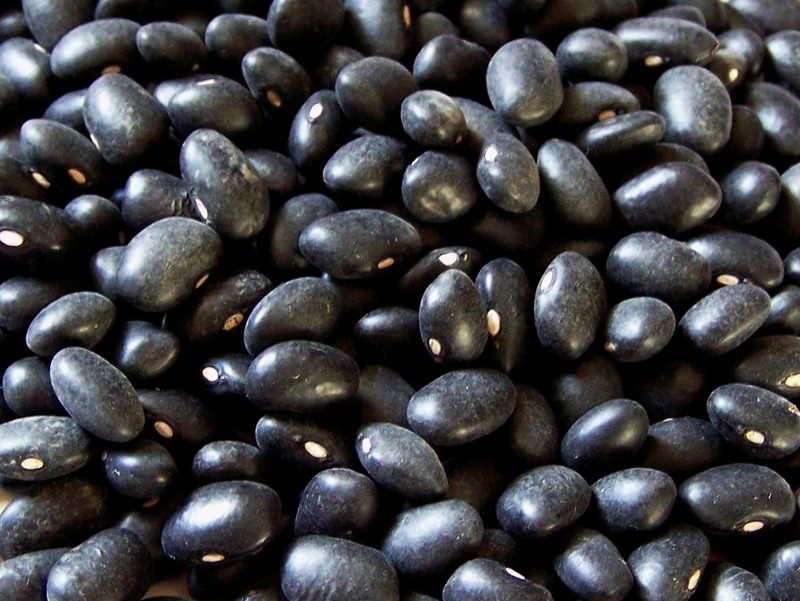 Black beans are high in fibre (aids weight loss because it fills you up, and boosts the health of the gut), low in fat, and contain a decent amount of iron (important for building red blood cells and preventing anaemia), folate (important for red blood cells and transport of oxygen to the muscles and prevents spina bifida in unborn children), magnesium and potassium. If you have to get the dried black beans that need soaking I would recommend preparing more than you need as you can always freeze them once cooked for easy use at a later date. Black (turtle) beans. High in fibre and carbohydrate but low in fat. Contain iron, folate, magnesium and potassium. Soak the black beans in cold water overnight (24 hours). Place in a large saucepan, cover with double the amount of water, and bring to the boil. Reduce heat to medium, cover and leave to cook for at least 2 hours or until the beans are softened but not breaking apart. Add more water if it starts to dry out. Drain and leave to cool. To make the salsa, stir the tomatoes, red onions, red pepper, sweetcorn, coriander or cilantro, lime juice, jalapeno pepper, minced garlic, and salt to taste, together in a bowl until well blended. Cover, and refrigerate until needed (at least 1 hour). Place the oil in a frying pan over a medium heat. Stir in the garlic, and cook 1 minute until light brown. Mix in the black beans or drained pinto beans if using these instead, the broth and 1 tbsp. jalapeno pepper. Simmer until beans are heated through (about 5 minutes). Turn off heat, and keep warm. Preheat oven to 190°C / 375°F / gas mark 5. Place tortillas on a baking sheet with greaseproof paper underneath. Cook for 1-2 minutes, until warmed through and softened. Alternatively, heat in microwave on full power for 30 – 45 seconds. Poach or scramble the eggs and cook to desired firmness. 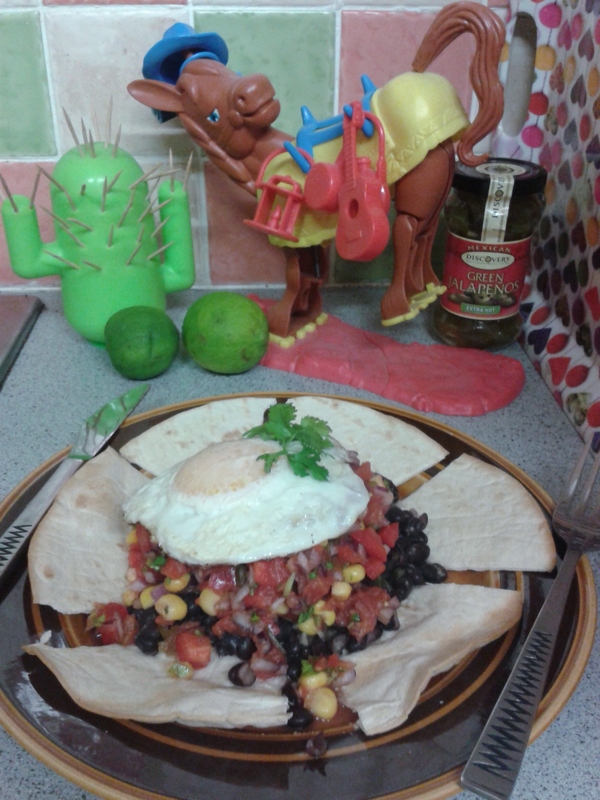 To assemble huevos rancheros, place a tortilla on each plate. 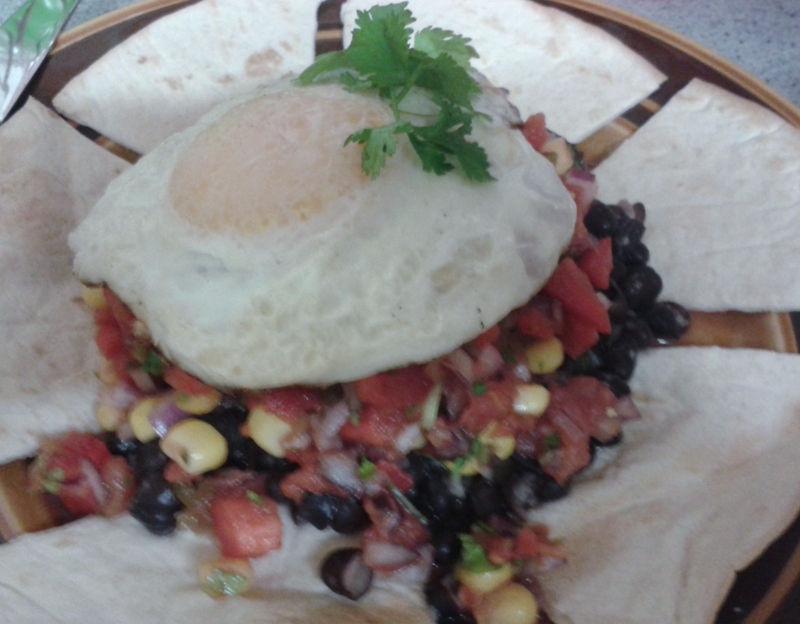 Top each tortilla with black bean mixture, a layer of salsa, and an egg (or ¼ of the scrambled eggs). Serve immediately. If you love food and hate the idea of wasting anything then I am starting a series of ‘Waste Not Want Not’ blog posts, in honour of the ‘Love Food Hate Waste’ national campaign to get people shopping and cooking smart to prevent food waste and save people money. In the UK the average household throws away £480 of food waste per year (£680 for a family with 2 children) and almost half of this is estimated to be food that we could have eaten. The foods we waste the most are vegetables, fruit, drinks and bakery items such as bread and cakes. A lot of the wastage is down to either preparing too much food and having to throw it away or buying too much food in the first place. The Love Food Hate Waste website has some brilliant ideas, including recipes and ways to store food better, to prevent waste and save us all money. Here are my suggestions for something that tends to sit in the fridge for a long time in our house….the humble jar of mint sauce (please note, this is not the same as mint jelly – mint sauce is more of a vinegar-based dressing usually used with lamb). Trim the ends off 1 courgette and grate it lengthways into wide(ish) strips. Thinly slice 4 spring onions. Make a dressing out of 1 tsp. olive oil, 1 tbsp. white wine vinegar, 2-3 tsp. lemon juice (fresh or bottled), fresh black pepper and a tsp. of mint sauce. 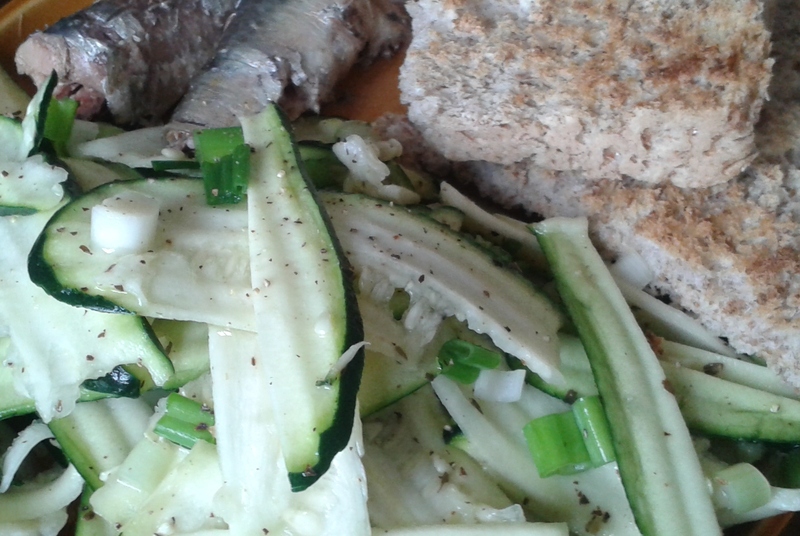 Mix courgette into the dressing. You could add bits of diced red pepper too. Mix 4 tbsps of low fat plain or greek yogurt with 1 tsp of mint sauce, 1 tsp lemon juice, ¼ – ½ tsp of ground chilli powder and a handful of coriander chopped fine. Use this as a salad dressing for tinned chickpeas mixed up with diced spring onions, red pepper, and shredded roast chicken or as a dip for falafel or samosas. If you want to have a thinner sauce, blend – it will go a nice shade of green. 4. Mix 1/2 – 1 tsp. 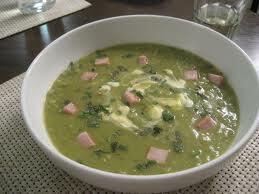 of mint sauce into a portion of fresh or frozen garden peas to serve as a side to your sunday roast.